The first step to a successful move is obtaining one or more free moving quotes online. The internet is an ideal place to begin the search because it lets the consumer “window shop” from the comfort of home, and it is easy to check out the credentials of any potential companies. The consumer will discover it is best to explore a series of set questions with each company devising a list for later comparison. Once a few companies have been chosen, it is time to contact the company directly and speak with a live representative. What should the consumer do beforehand to obtain a better estimation? The moving dates are important. The date of the proposed move can alter an estimate, so it is better to have exact dates on hand. However, life happens and there are times when it is not always so easy to know the exact date. For those occasions, get as close to the date as possible. There are potential savings for those people that can plan the move in advance, too. If the dates unexpectedly change contact the company as soon as possible. Taking a good look at the property will give the consumer a general idea of the enormity of the project. To receive free, accurate moving quotes online, knowing how much work is involved will help save time and money. Of course, an accurate estimate will take more than an online quote, so be prepared for a representative to visit the property. Some consumers want the moving specialist to handle the entire project from packing to unpacking. Other consumers just need the experts to transport the packed property to the new location. The company can give an estimate for all types of projects, but it is helpful to have a general idea of a budget to know what the company can do for the consumer. It is important to know the reputation and expertise of the project handler. 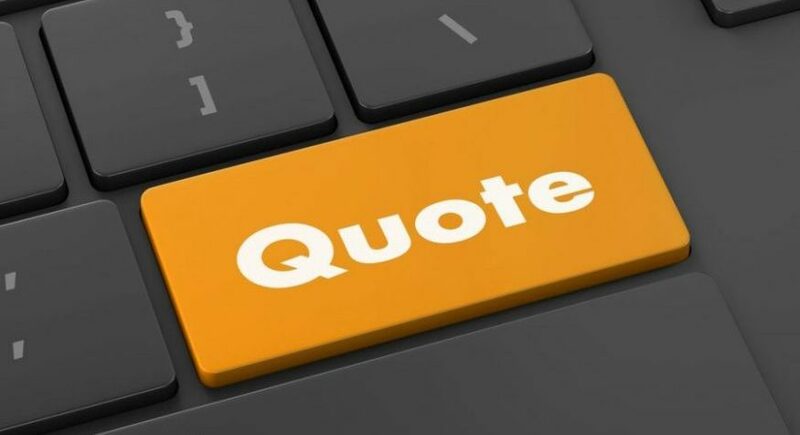 One of the numerous advantages to getting free moving quotes online is the ability to investigate the company. Take a close look at the company. How many years of experience does it have? What are other people saying about the company? Are there any negative ratings through the Better Business Bureau? How does the company handle complaints? One final thought on finding the ideal moving company. There are varying licenses and requirements for companies that travel interstate, intrastate, and globally. When receiving free moving quotes online, be sure to check that the company can deliver to the required destination. Ask the company to show the necessary credentials before signing any agreement. It can cause a tremendous delay in the delivery time, because the property could be confiscated at customs. With a list of possible companies, the consumer can now contact the company directly. Usually there is a toll-free number available on the company website, so it is easy to get in touch. Ask the company about timeframes, prices, and credentials. Does the company offer sight unseen estimates? How much does the consumer save by making reservations in advance? What happens if the agreement needs to change? The internet has made it easy to obtain free moving quotes online. However, the consumer must be cautious and use good judgment when deciding which potential companies are a good fit for the need. Seek a company like JT Melia, which has both expertise and knowledge when it comes to moving whether it is locally or across the globe.